Some provinces are allowing private, for-profit clinics to collect blood plasma. This is a bad idea. In the 1980s, over 30,000 Canadians were infected with HIV/AIDS and Hepatitis C from contaminated blood and blood products. It was the worst preventable public health disaster in Canada’s history. Voluntary, unpaid blood donation is recognized worldwide as the safest source of blood. After the tainted blood scandal, the government set up the Krever Inquiry to investigate. It concluded that blood is a public resource – donors should not be paid, and profits should not be made from it. Plasma has become the first human material to be sold in Canada, and for-profit clinics want to sell our plasma to the United States. Our national, not-for-profit blood authority, Canadian Blood Services, has an ambitious plan to open dozens of plasma collection sites across the country to achieve self-sufficiency in Canadian blood products. This plan is threatened by private paid-plasma clinics like Canadian Plasma Resources. There is no consistent federal or provincial policy on paid plasma. Three provinces (Ontario, Quebec, Alberta) have banned it, while others are neutral or supportive. But safeguarding a national blood system requires a national approach – paid plasma needs to be banned everywhere. Profit and blood don’t mix. Blood should not be a commodity. It increases risk to blood safety. The chances of bloodborne infections is higher among paid donors. When motivated by money, donors are unlikely to reveal reasons why they are unsuitable to donate blood. It weakens voluntary blood donor programs, which jeopardizes the national blood supply. By undermining the principles of voluntary donation, some long-time donors start to lose motivation and stop giving, while others opt for payment from paid plasma clinics instead – all of which reduces the volume and regularity of donations to the national blood system. Private companies are driven by profits, not the wellbeing and safety of Canadians. They sell and export plasma to the highest bidder and have no duty to use it to save the lives of Canadians. Blood is a public resource. No one should be collecting, influencing the supply of, or profiting from it except our public system. But plasma is highly profitable. Multinational corporations buy Canadian plasma and mix it with foreign plasma to make pharmaceutical products, which are then sold back into Canada. Finished products can cost up to $7000 per treatment and more than $200,000 annually. The federal and provincial governments need to ban payment for blood and plasma donation, ban privatization by disallowing private paid plasma clinics, and have a plan to achieve self-sufficiency of Canada’s blood and blood product supply. 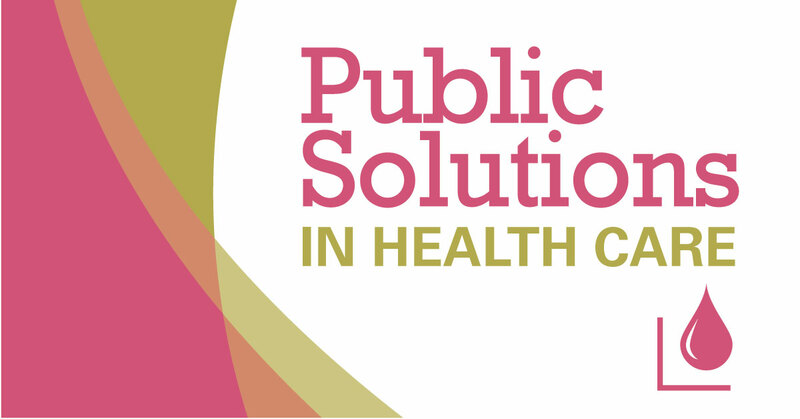 Public solutions cost less, cover everyone, and deliver more. Treating human plasma as something to buy and sell is wrong. Putting the safety of Canadians at risk by exploiting blood donors is wrong. Canadians deserve better. We need to ask the federal and provincial governments to act now. To find out how, or for more information, visit our website: cupe.ca/health-care-public-solutions or e-mail us: public-solutions@cupe.ca.